Central Bank of Somalia is embarking on a major tech overhaul, with sponsorship from the World Bank. The bank will implement a new core banking system, Temenos’ T24, and a new ERP system from Oracle FSS. Swiss IT consultancy firm Sofgen has been recruited to deliver the project. The first phase is estimated to cost $2.5 million and scheduled for nine to 12 months. 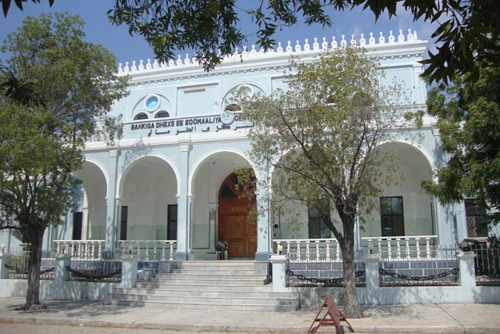 The central bank’s governor, Bashir Ali, hopes the project will bring access to reliable financial services for Somalian citizens. “Successful implementation will empower the central bank to play its role more effectively and also provide the needed foundation upon which all other future initiatives will rely,” he says. Sofgen is now part of an India-based heavyweight, Tech Mahindra. It was acquired in early 2015, bringing Sofgen the backing of a major firm and opening the door to large contracts, and providing Tech Mahindra with strong expertise in the banking tech sector. Banking Technology understands that Sofgen/Tech Mahindra has recently inked another major deal, with a top-tier bank. This is expected to be announced in the next six weeks. South Africa’s insurance group Discovery has received the green light from the regulators to set up a bank – the anticipation is that a banking licence will be granted within a year. Airtel Payments Bank, a start-up subsidiary of Indian telco Airtel, has gone live with its core banking system. This is understood to be Oracle FSS's Flexcube. KeyCorp and First Niagara merger – software revamp on the cards? UK-based Weatherbys Bank is live with a new core banking system, Oracle FSS’s Flexcube, Banking Technology understands. The project started in 2015. Government-owned bank in Pakistan implements a new core banking system.